Hello hello, y'all! I didn't get to blog my Studio Calico Brimfield cards earlier this week. Time restraints and fun other requests prevented me from doing so - more info on that last portion is probably coming later in fall :) Anyway, the kits were released and I want to show you some of my gallery cards here. The SC members specifically asked to see samples of how to alter the stationery kit cards into something with a more handmade feel. The card came together fairly quickly. I trimmed down the preprinted gold foiled stationery card down a bit to accommodate for the bulk, then used one of the included tags to create a focal point with the Clara add-on, an adorable baby themed stamp + die combo. The second stationery kit card I had prepared with these members in mind was a beautiful watercolor flower design by Jasmine Nora Jones. She's one talented gal and working in-house at the Studio Calico office. Jasmine also designed a faith-themed stamp set featuring her handwriting, which is an add-on to the stationery kit. I used one of those stamps with Color Theory inks, Neocolor II inks and glitter on a small treat topper die (which is part of a cute halloween set). 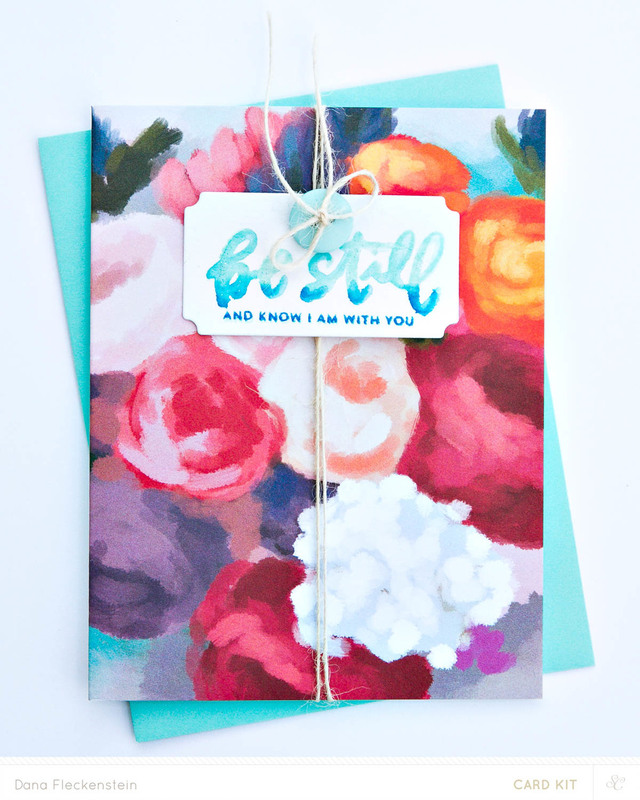 A favorite from this month's release was the flower die from the Love Never Fails kit add-on. I made two different cards with the set for the kit gallery. I have a few more projects - two round birthday tags - in the Creative Team gallery that I'll leave for another blog post. You can of course go see it on the Studio Calico website along with detail pictures of all cards and more inspiration from whole team.